Fazal Rizvi is a Professor of Global Studies in Education at the University of Melbourne, as we well as an Emeritus Professor at the University of Illinois at Urbana-Champaign in the United States. 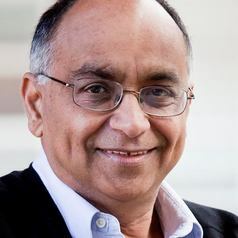 He has written extensively on issues of identity and culture in transnational contexts, globalization and education policy and Australia-Asia relations. A collection of his essays is published in: Encountering Education in the Global: Selected Writings of Fazal Rizvi (Routledge 2014). He is a Fellow of the Australian Academy of the Social Sciences, and has recently co-authored a report, 'Australia's Diaspora Advantage' for the Australian Council of Learned Academies.